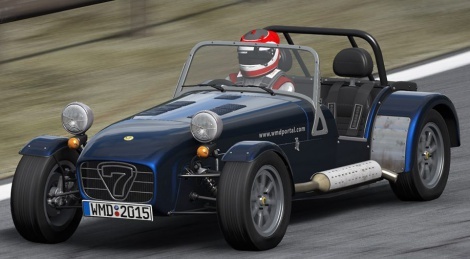 Today being a bank holiday, we've gone for a drive along the Californian coast on board our freshly aquired Caterham. 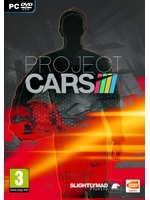 Sadly, it's just Project CARS we are talking about, but the good news is that we can share it here with you guys. Again, this was downsampled from 4K and captured in 1080p using our capture card, so enjoy! Update: Formula B video added. The first start was captured with detailed grass set on high while the game was downsampled from 1440p. The second start footage was downbsampled from 4k without detailed grass. Update 2 : BenBuja has just sent us another one of his 4K video and once again, it looks amazing. Nice track,that car in front was not giving you anything easy sheesh! Great videos, cant wait for this game. Just hope the devs wont push the release forward again. Do they really turn the steering wheel that much in Formula B? It looks insane. That's what I thought too. I think that's just because the in-game wheel does the exact same thing as mine - which is set at 900°. I don't think the wheels of F1/A/B/C cars are 900°. My main problem with the wheel and hands in the game is the fact that the driver lets go of the wheel while driving high speed formula cars. Of course, the main problem is the wheel turning so much. In most racing cars the direction is pre-adjusted in the track setup so they never should turn that much. You can watch any onboard lap at Monaco GP to see that they never stop holding the wheel through the Grand Hotel hairpin. By the way, very nice videos Gamersyde! Looks incredible, lovely and smooth. Thanks for the videos. The A.I. looks a lot better than the earlier builds. The AI is the best part of the game. I'd go as far as saying that it's the best AI of any racing game (well, at least in some cars). Depends on the track and types of cars (the first turn in Monaco is hard for the AI, and sometimes Fomrula A/B/C cars are a bit too aggressive and they cause accidents - involving the player when you're at the wrong place at the wrong time). Overall it's good though.